This Hiking Program is a four season program. Our monthly hiking events will be in addition to our regular den field trip events. Attendance at all hiking events will be completely optional! We will attempt to have one hiking event per month year round, weather permitting, mostly occurring within the local Arkansas State Park system. These hikes will typically be around 2.5 – 4 miles in length. The primary goal of this program is to get the Scouts outdoors to promote awareness of the beauty of the world around them. 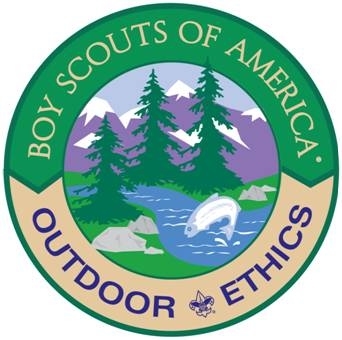 This increased awareness of nature will help the Scouts become better stewards of our world throughout their lifetimes. This program will expose the Scouts to the many diverse nature settings in our area while having great outdoor adventures! The hiking events will instill an innate enjoyment of "heading out"; that being out-of-doors in the woods is a fun time. For Cub Scouts that have not been out-of-doors a lot as Cub Scouts, the move to Boy Scouts and that level of outdoor experience is a huge jump. By the time a scout is in middle school much of what they define as fun is already decided. Whether fun involves a Nintendo or X-Box, or if it is focused upon hiking and camping---that definition of fun is a done deal.